We are currently previewing a new REST API that will allow a developer to programmatically upload a Power BI designer file (PBIX) to a user’s workspace. 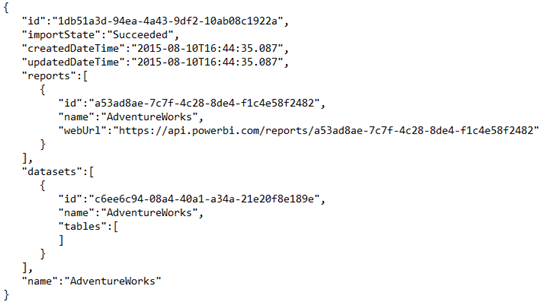 This new API is called the Import API and it is currently available in our beta version of the Power BI API. The vision for the import API is that it will allow a developer to take a package of content like a PBIX or Excel file, import it into a user’s Power BI workspace. This will split the package into its individual parts like datasets and reports. It will then provide a metadata link between the actual import operation and the objects that were created from it. Let’s look at an example of how to call the import REST API to import a PBIX file. In this example, I will be using a tool called fiddler. datasetDisplayName which is the name you want the resulting dataset to have after the import is complete. Overwrite – replaces the dataset and report that is in the user’s workspace with the contents of the PBIX file. Ignore (default) – ignores the conflicting name and creates the dataset and report anyway. The request also requires the standard authorization header with bearer token (https://msdn.microsoft.com/en-US/library/mt203565.aspx). The required security scope for this operation is: Create content (preview). To check the status, you need to make a GET call to “https://api.powerbi.com/beta/myorg/imports/1db51a3d-94ea-4a43-9df2-10ab08c1922a”. This call requires the following permission scope: View content properties (preview). The response includes all the information about the report and dataset that was created. 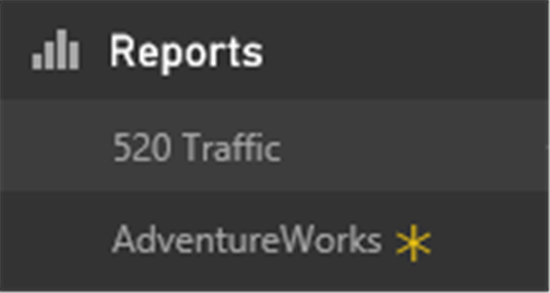 It even includes a deep link to view the report in the Power BI UI. You can also see the metadata for all your imports by making a “GET” call on https://api.powerbi.com/beta/myorg/imports. The import REST API is in early preview and we will be making improvements and adding new functionality to it as time moves on. Please let our team know any feedback that you may have.